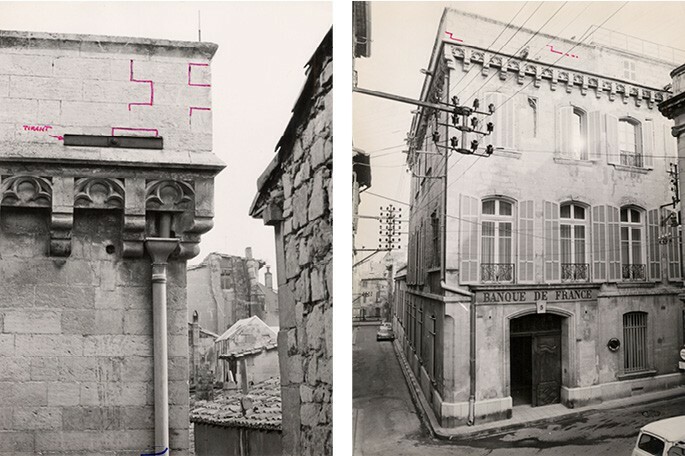 The work on the Hôtel Léautaud de Donines was initiated with the idea of achieving an architecturally sensitive but potent intervention in a sector classified as a UNESCO world heritage site. 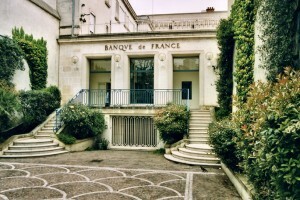 The existing building, with a floor area of 2,400 square metres, is thereby receiving its third lease of life. 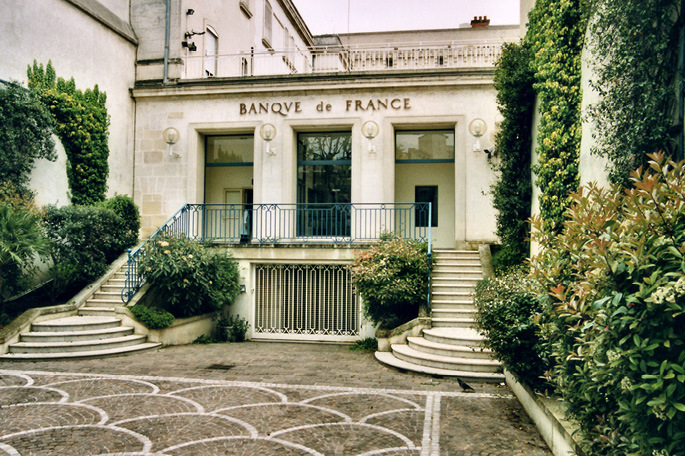 Originally constructed in the fifteenth century as a fortified private residence, in 1924 the mansion was turned into the offices of the Banque de France. It is now assuming a whole new shape in order to house the Fondation Vincent van Gogh Arles. The Arles’ light that so captivated Van Gogh provides the narrative thread running through the design concept by architects Guillaume Avenard and Hervé Schneider of the architectural agency FLUOR. 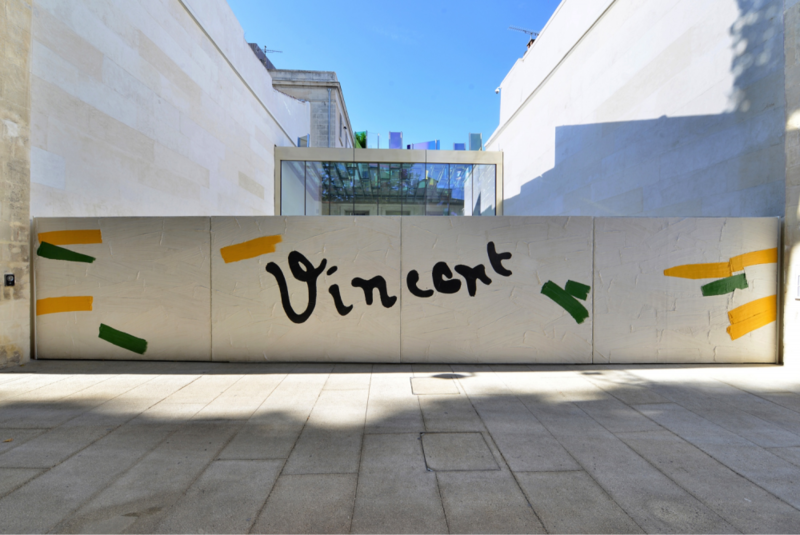 Artistic director Bice Curiger has also commissioned contemporary artists Bertrand Lavier and Raphael Hefti to create permanent installations that pay tribute to the work of Vincent van Gogh for the entrance areas of the Hôtel Léautaud de Donines. The entrance gate by Bertrand Lavier is conceived as a hybrid sculpture that blends harmoniously into its surroundings and will act as welcome sign. 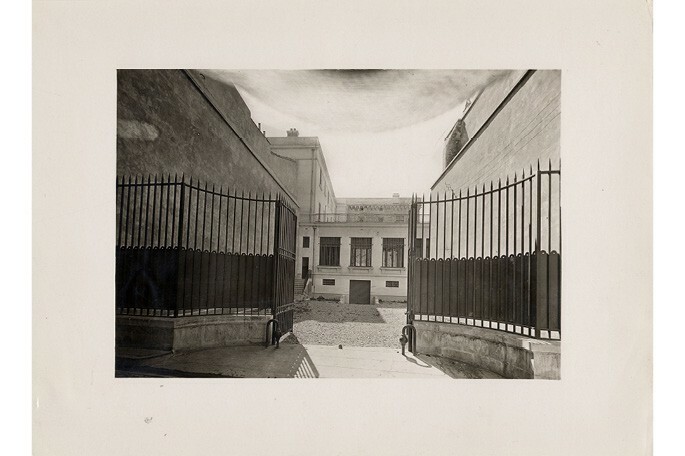 In the courtyard, visitors will be greeted by the installation by Raphael Hefti. With the consent of the FLUOR architects, Hefti’s specially conceived work – which operates with the prismatic reflection of light when it meets glass – will be integrated into the structure of the ceiling of the Fondation boutique. 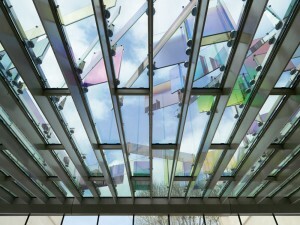 The installation employs an unconventional type of glass whose colour and opacity react to changes in the natural Arles light, while at the same time absorbing UV rays and allowing a temperate climate to be maintained inside the space below. From here the visit continues across 1,000 square metres of exhibition space, following a fluid and unbroken circuit through the different levels, which comprise the main gallery, the atrium, the former office and suite of rooms occupied by the director of the Banque de France. The visit ends on the terrace on the top floor, offering a panoramic view of the town and its surroundings. From here you can look out across the rooftops of Arles, the Rhône river and the ruined abbey of Montmajour that were so dear to Vincent van Gogh.